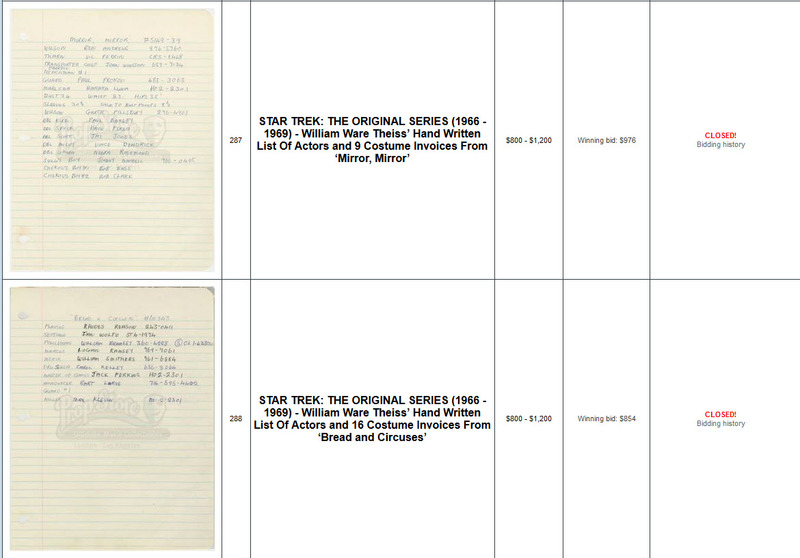 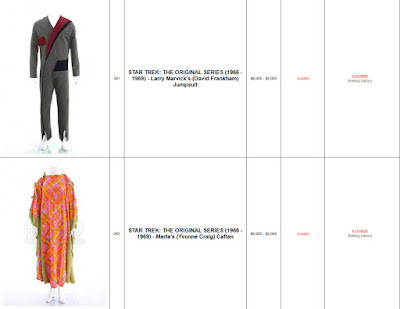 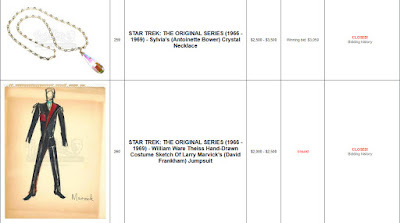 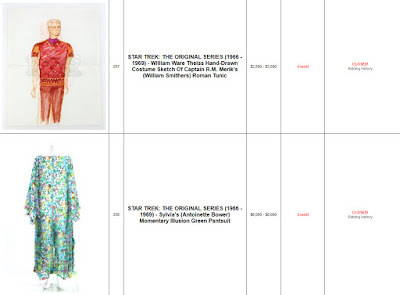 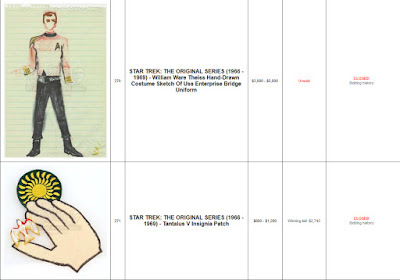 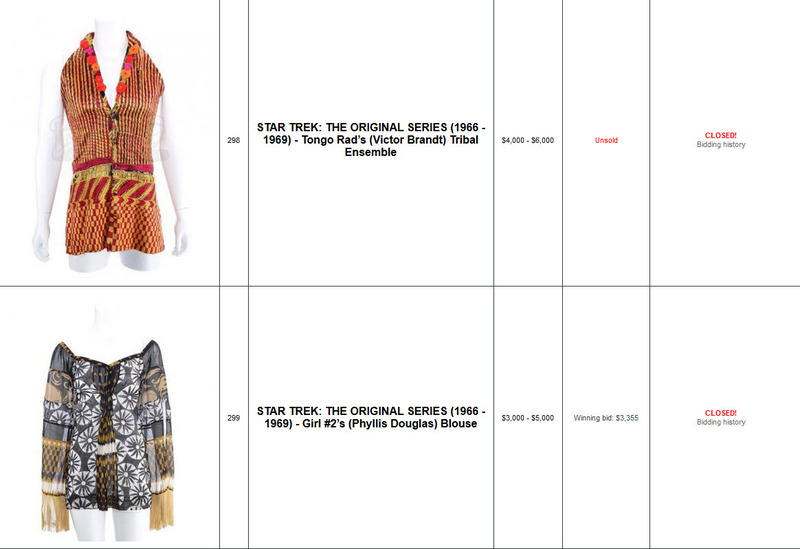 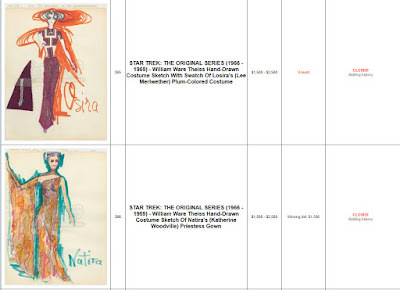 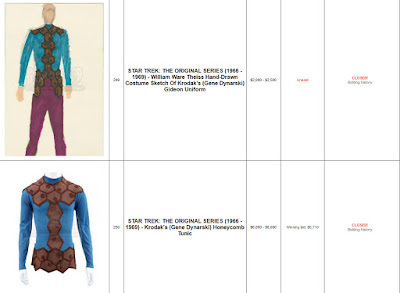 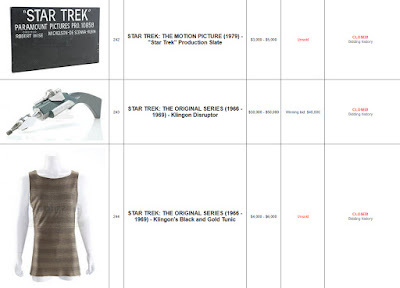 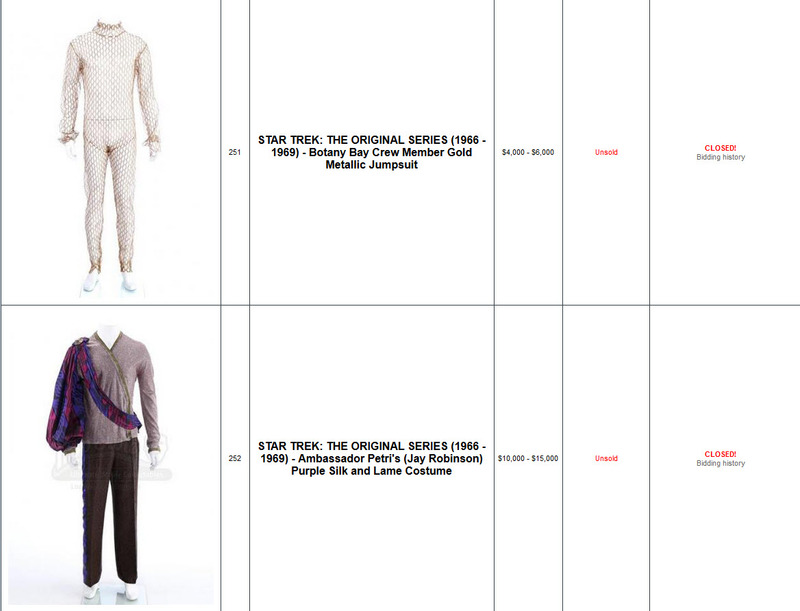 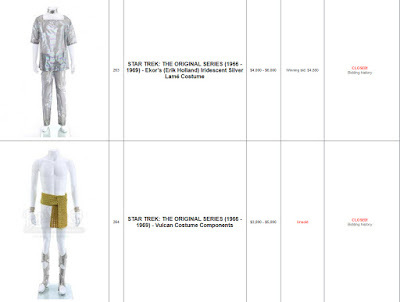 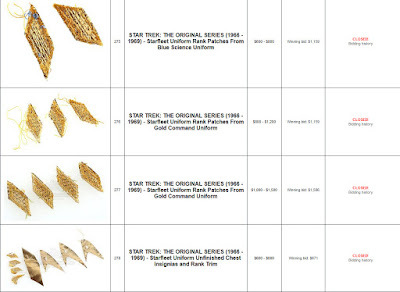 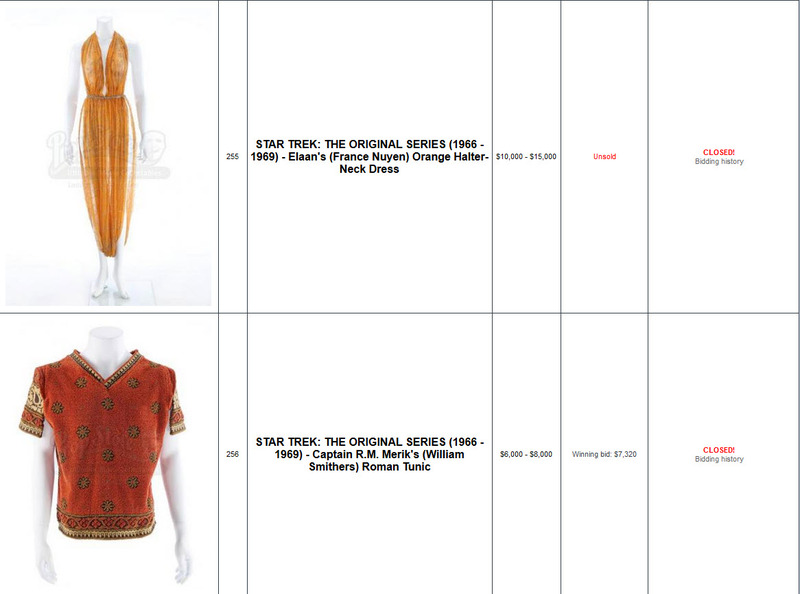 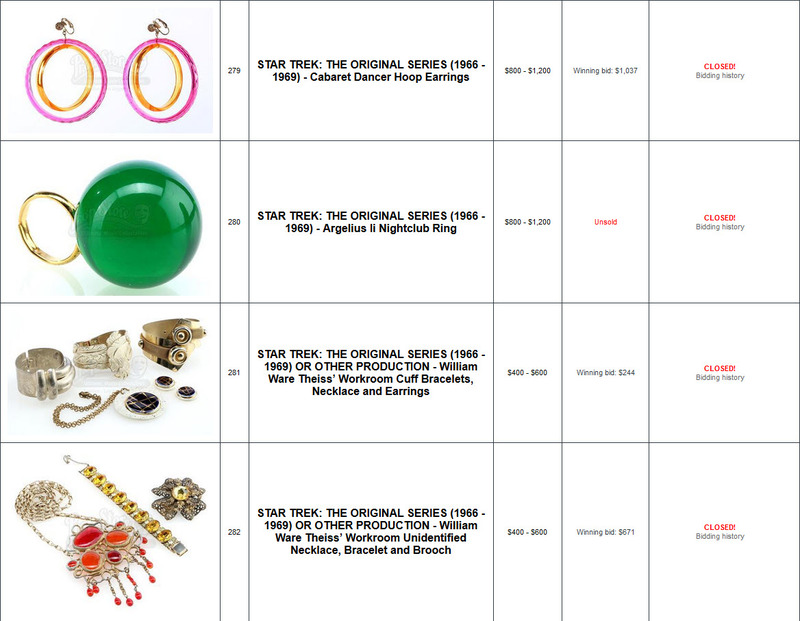 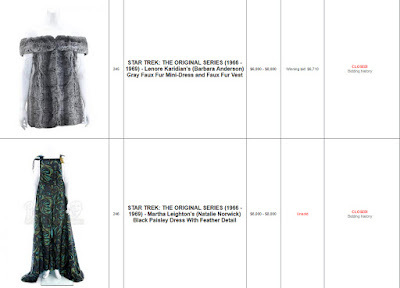 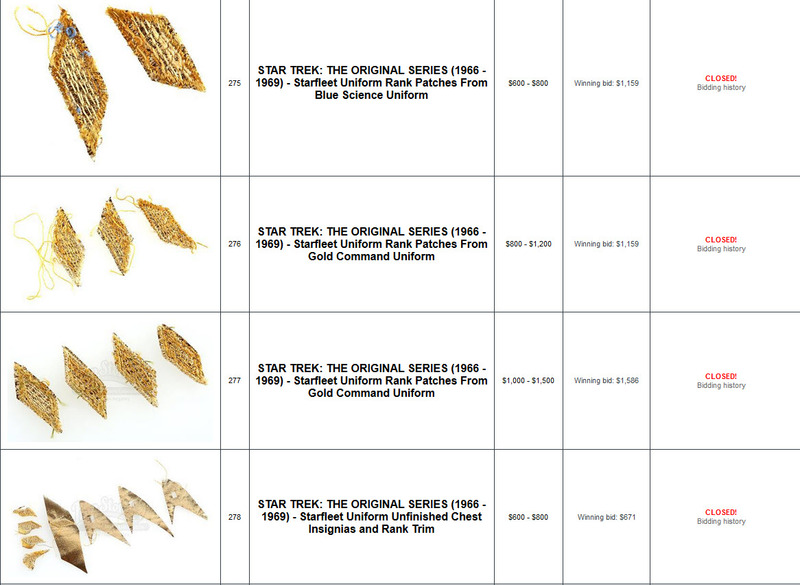 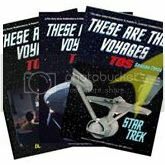 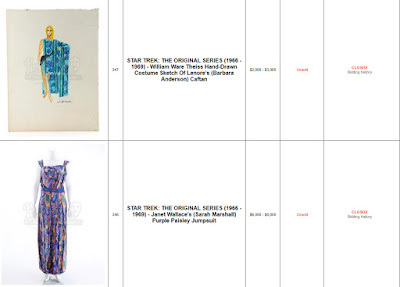 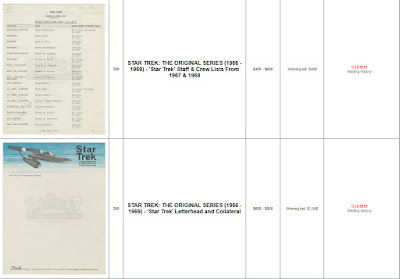 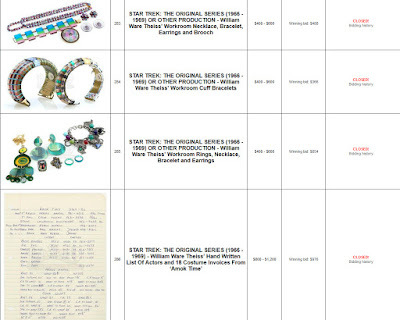 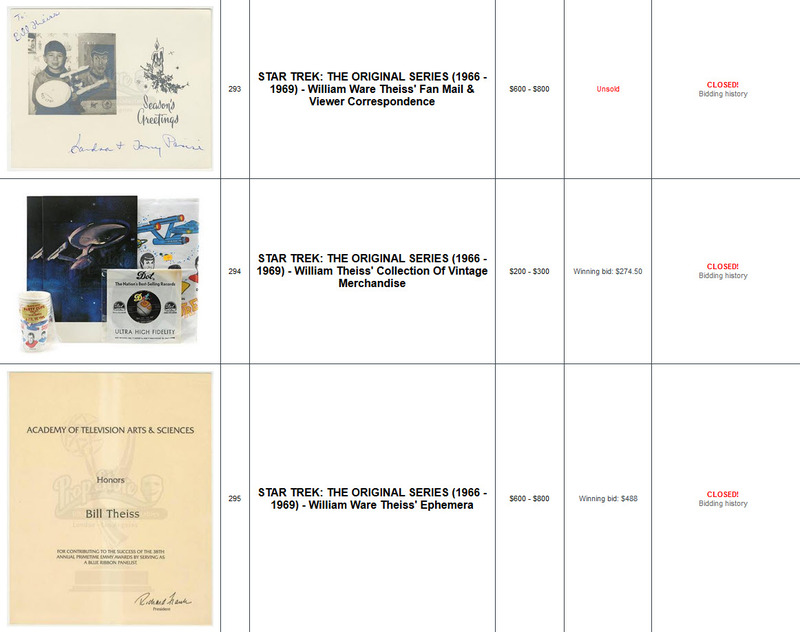 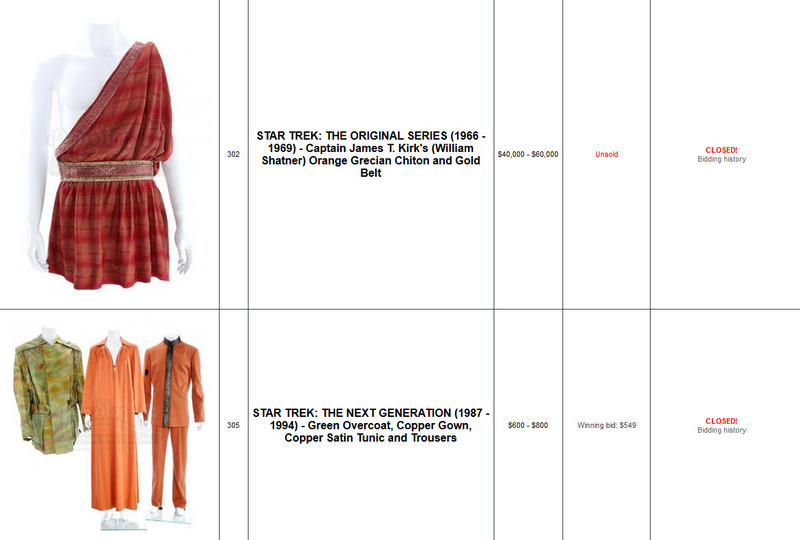 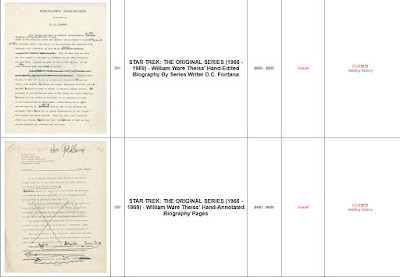 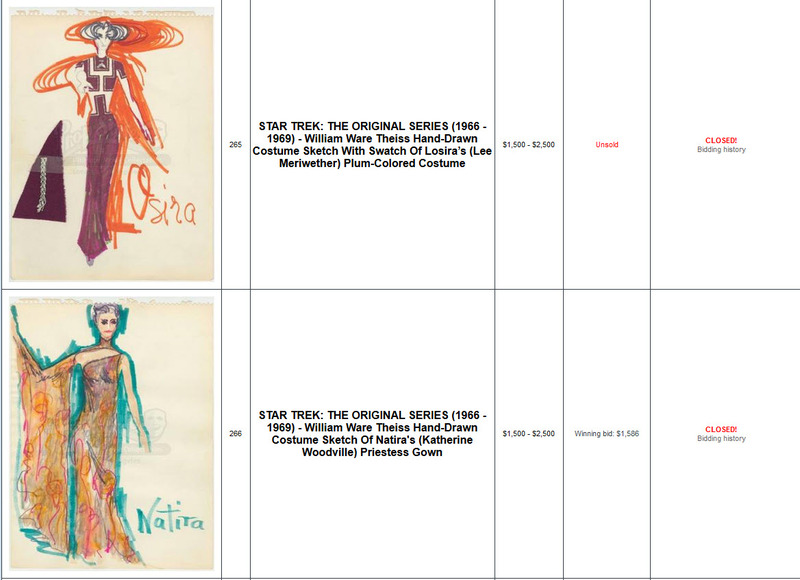 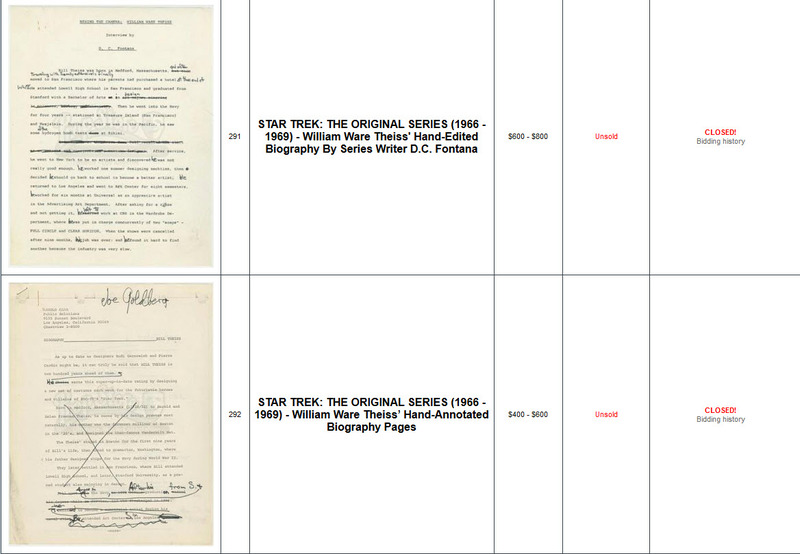 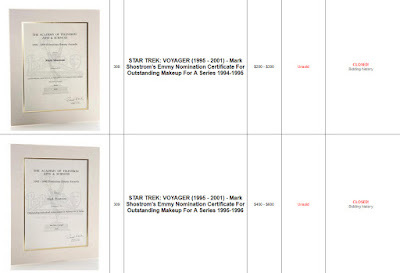 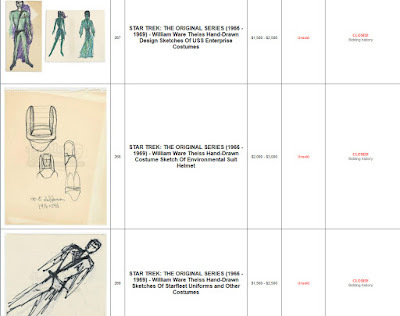 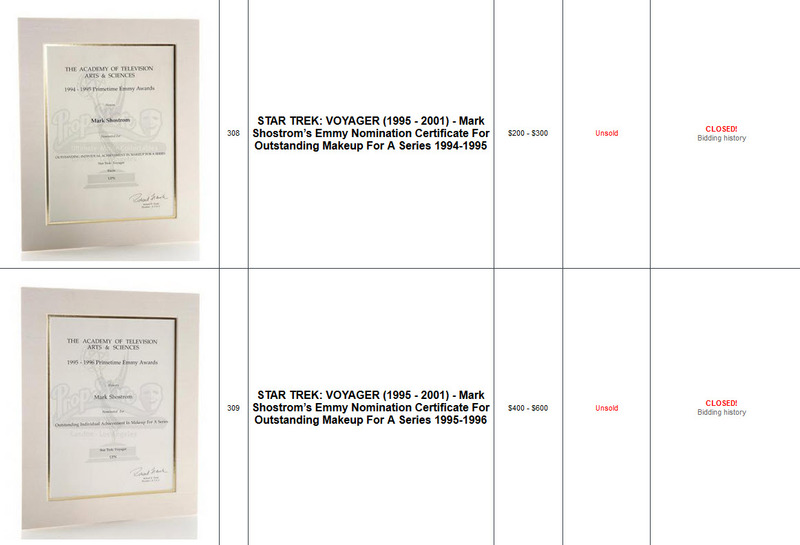 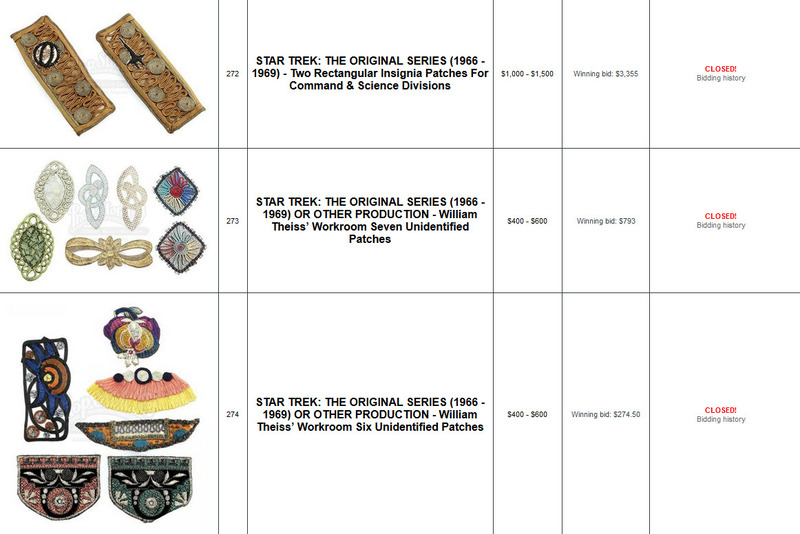 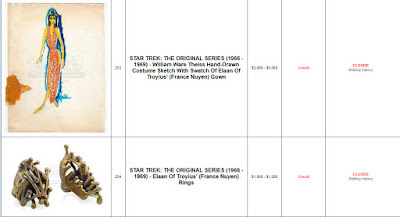 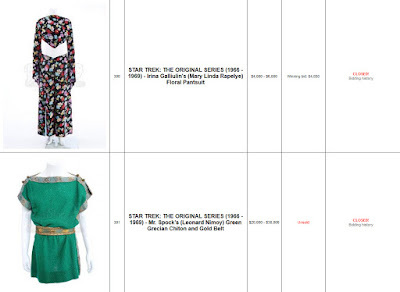 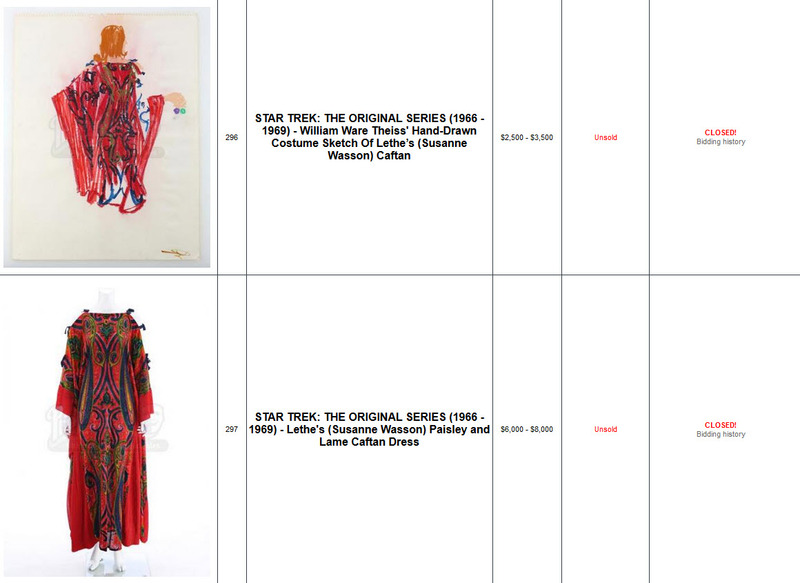 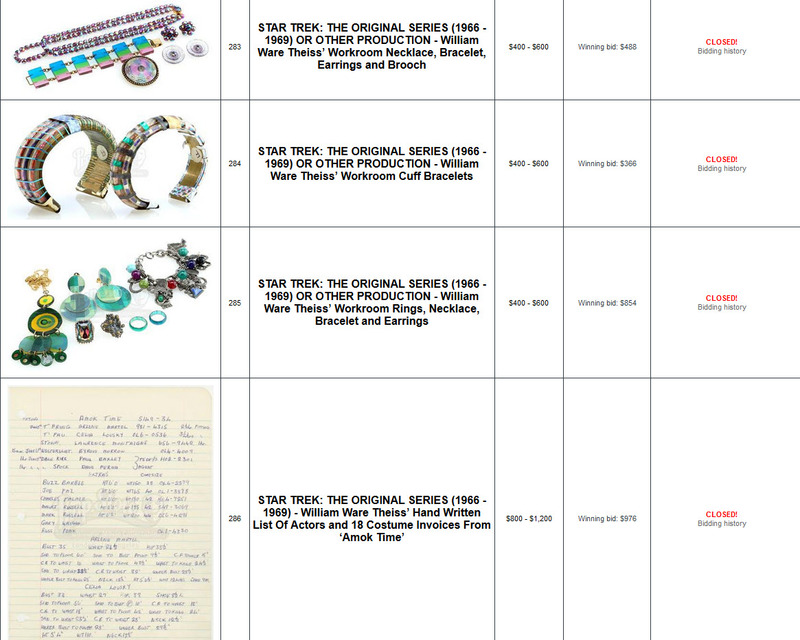 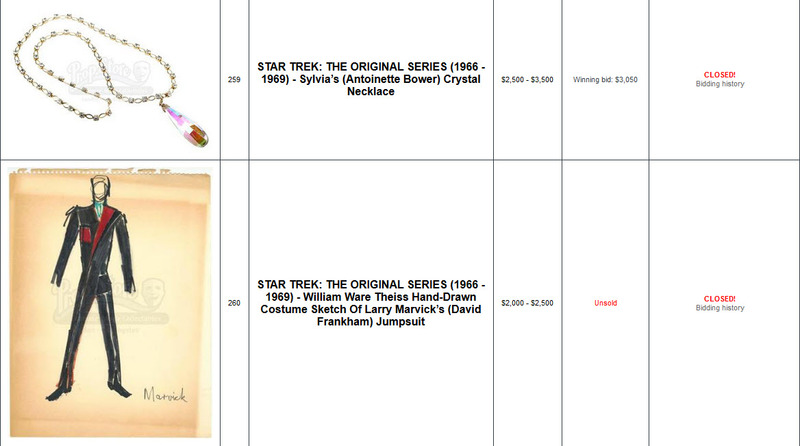 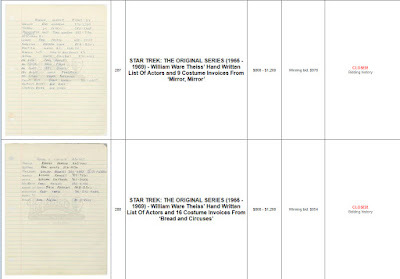 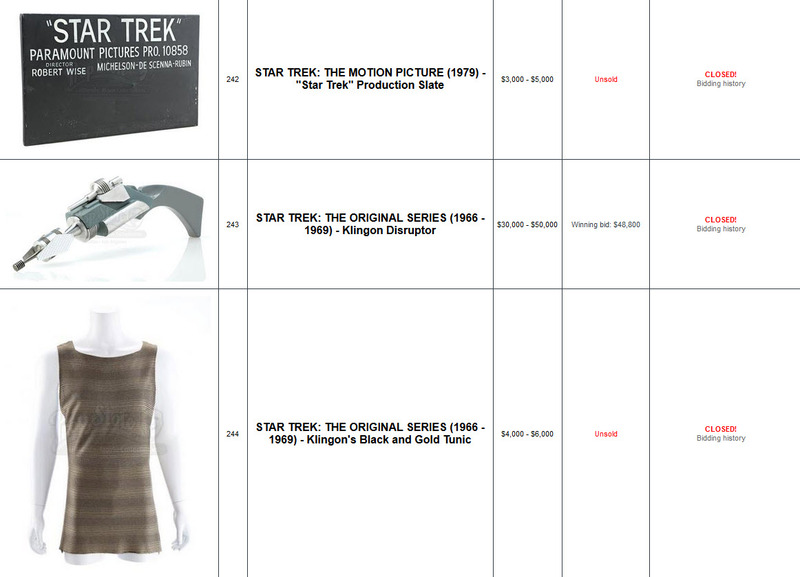 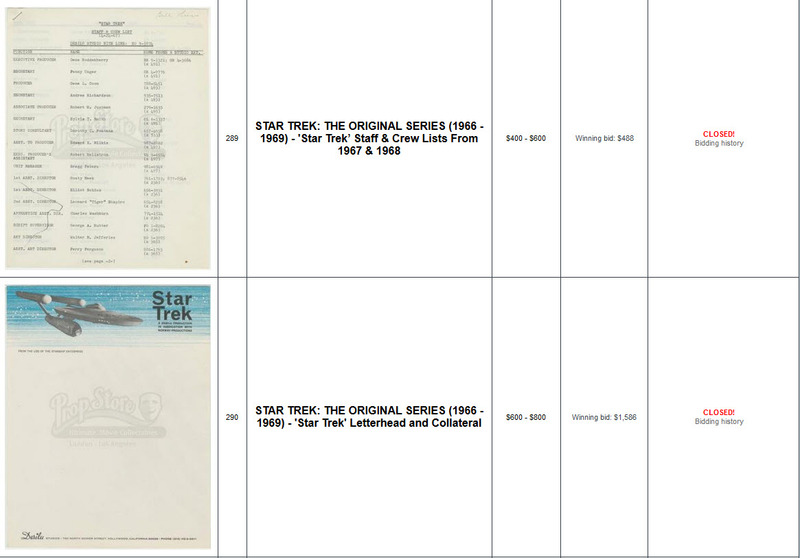 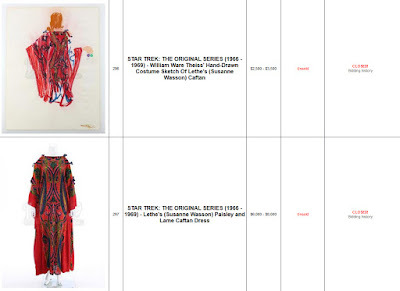 Presented below is the complete set of final prices realized for the 70 lots of Star Trek memorabilia (61 of which were Original Series or TOS-related items) that were offered in Prop Store's "TV Treasures Live Auction" of the Comisar Collection; which concluded live online bidding earlier this afternoon. 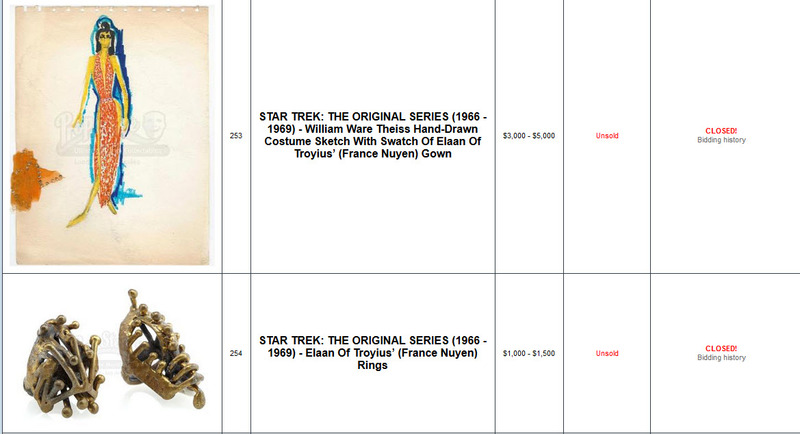 The highest price witnessed for a Star Trek item in the sale was $48,800 for a TOS Klingon Disruptor pistol. 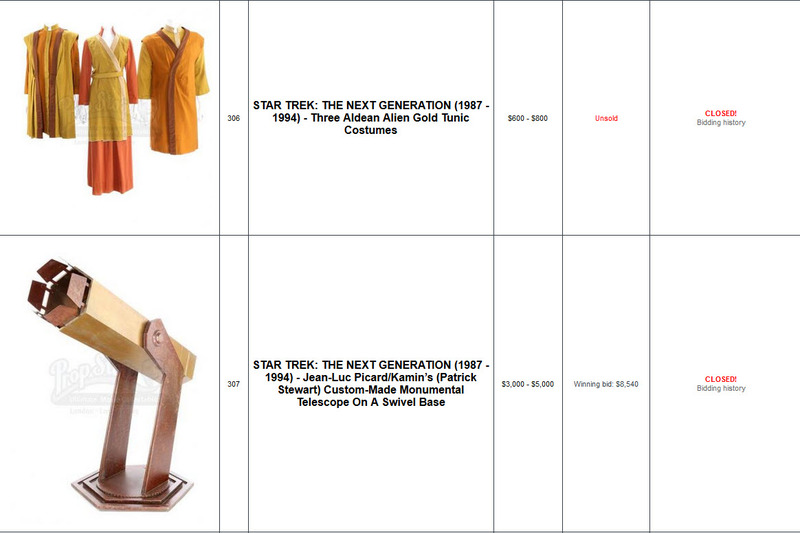 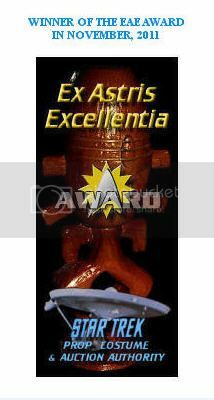 A Kataan Telescope prop on a swivel base used by Patrick Stewart as Jean-Luc Picard/Kamin in the TNG episode "The Inner Light" sold for $8,540 and Captain Merik's Roman Tunic from the TOS episode "Bread and Circuses" realized $7,320.